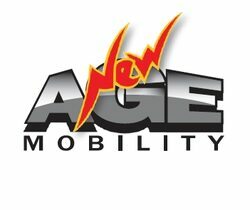 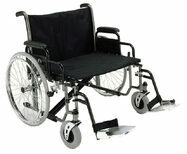 A wheelchair is another mobility aid and come in different forms and sizes depending on your needs. 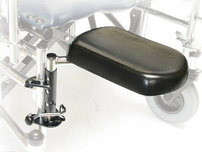 We have a variety of different models in stock and also have accessories like trays, elevating leg rest and stump support available. 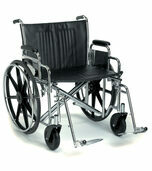 Is a wheelchair right for you? 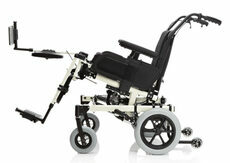 A wheelchair offers increased freedom for people experiencing limited mobility as a result of disability or health issue, whether short-term or more permanent. 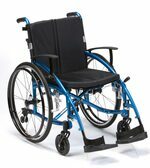 While there are obvious benefits to using a wheelchair, whether one is right for you ultimately comes down to a personal or family decision. 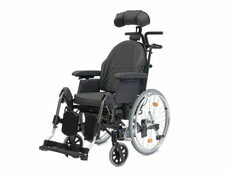 Most wheelchairs are designed to maneuver in small, tight spaces making them suitable for use at home. 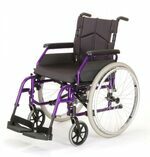 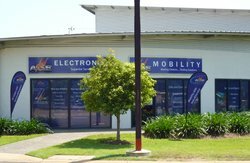 More robust wheelchairs are designed to be taken outside and can even be used on difficult terrain, like pavements and slopes. 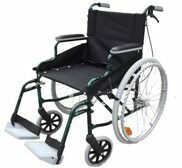 Folding wheelchairs, for example, are lightweight and will fit in the boot of a car, making them suitable for use when travelling or when a larger mobility aid might be too cumbersome. 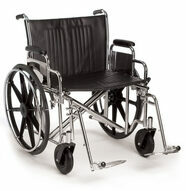 Wheelchairs can also provide temporary assistance when you’re recovering from an injury or operation. 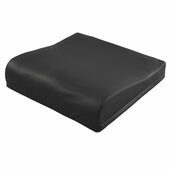 This allows you to continue to maintain your independence while avoiding fatigue or a delay in recovery caused by too much physical activity.